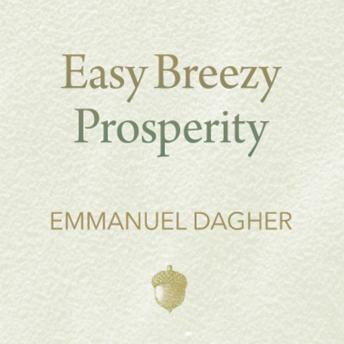 In Easy Breezy Prosperity, author Emmanuel Dagher redefines what real prosperity means and offers you tactics to expand and enrich yourself well beyond financial goals. By examining how and why we treat money the way we do, Dagher shows you how to realize the success you have already created and cultivate the clarity needed to attract more of it in your daily life. Each chapter is designed to empower you, leaving you feeling optimistic not only about their working lives and finances but also your entire life's path. Dagher shares his own story and those of his clients and fans who have turned their lives around using his meditations, rituals, and exercises. He also includes a 28-day plan with simple yet effective daily practices you can use to help achieve your goals.